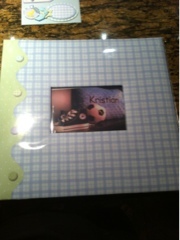 I finally put together baby K's scrapbook. I have 2 of them. 1 is for pregnancy pics and birth pics and a few pics up until now. The other documents every month. 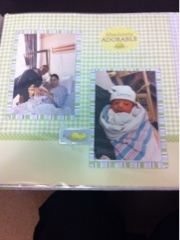 The good thing is that I blog about baby boy's monthly updates so I think I will print those out and glue them in! Ha! 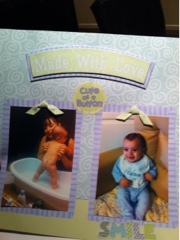 For now I finished 1 scrapbook and the other is ongoing. I have sooooo many pictures in my computer that I still need to develop. I'm soo behind on that. I also want to get some pictures on canvas that my friend recommended.